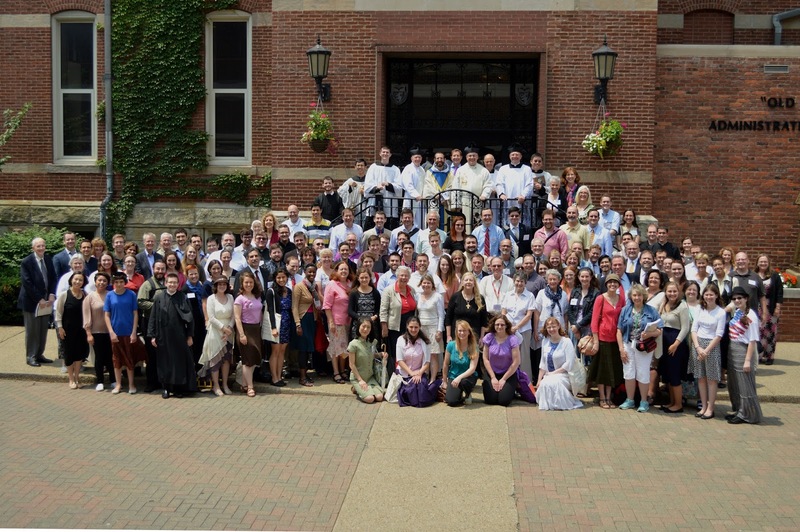 The CMAA Colloquium has finally reached its completion. Below, you can find a picture of most of the attendees of the 2015 CMAA Colloquium (some left to catch flights home), on the steps of Holy Spirit Chapel at Duquesne after the final Mass. For those looking for them, pictures of the last two day's Masses will be posted soon, including Friday's solemn requiem for the deceased members of the CMAA.